There is plenty of fun to be had when you're Zooing Around. 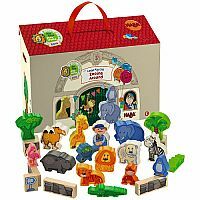 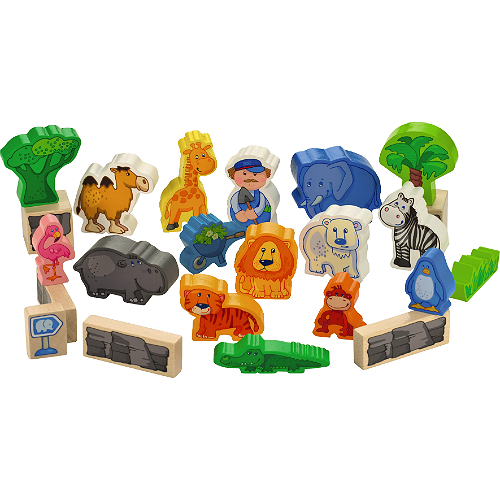 This portable zoo play set carries all sorts of animals who are ready for a fun afternoon. 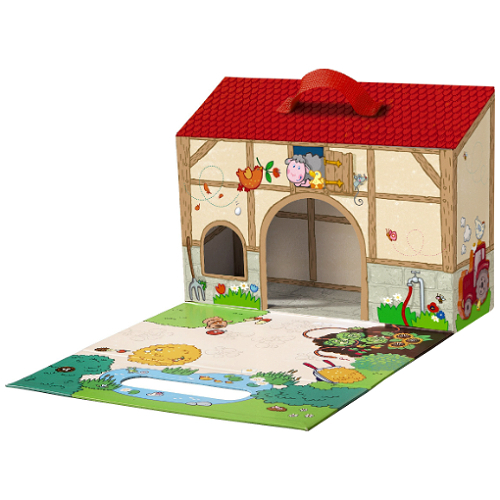 Open the carry case, fold down the front flap for scenery and take out 26 beautifully illustrated wooden shapes. 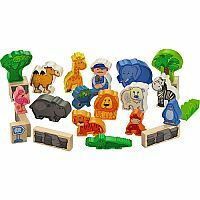 Use the fences to cage them in and set the sign post so the zookeeper knows where to go. 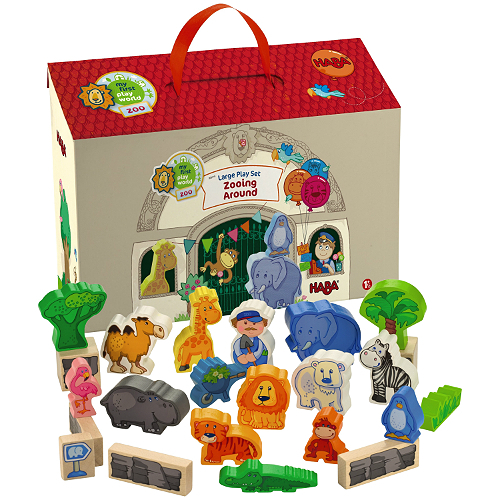 Portable zoo offers convenient storage and carrying. 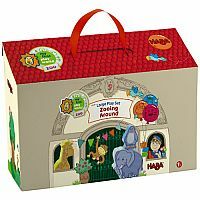 Encourages language skills and develops imaginations. Measures approximately: 12.25 x 8.75 x 3.75 inches..